McMafia is coming to a television set near you. From gun runners in the Ukraine, to money launderers in Dubai, cyber criminals in Brazil, racketeers in Japan, and the booming marijuana industry in western Canada, McMafia builds a breathtaking picture of a secret and bloody business. 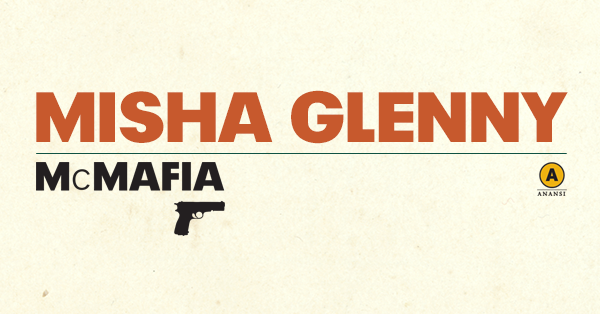 Internationally celebrated writer Misha Glenny crafts a fascinating, highly readable, and impressively well-researched account of the emergence of organized crime as a globalized phenomenon and shows how its secret and bloody business mirrors both the methods and the rewards of the legitimate world economy. Employing his journalistic talent and his prior experience covering organized crime in Eastern Europe, Glenny reports on his travels around the planet to investigate this worrying and worsening situation. After comprehensively surveying the criminal scene, Glenny ends by considering the future of organized crime. McMafia is an important book that assembles all the pieces of this worldwide puzzle for the first time. Announced earlier today, BBC1 is drawing inspiration from Misha Glenny’s McMafia and creating a six-part series set in the world of organized crime in similar fashion to The Godfather and The Sopranos. As outlined in The Guardian, BBC1 is hopeful that the series will have international appeal, and if all goes well, could help spawn several other crime based series’. “I am a huge fan of The Godfather, The Sopranos and, more recently, Narcos. Hoss and James’s brilliant reworking of McMafia takes this tradition onto a global canvas by revealing the immense possibilities open to an ambitious Russian crime family in an interconnected world,” said Author Misha Glenny in response to the news. The writing team led by Hossein Amini and James Watkins includes David Farr (The Night Manager, Spooks, Troy – Fall of a City), Peter Harness (Doctor Who, Wallander, Jonathan Strange & Mr Norrell) and Laurence Coriat (Wonderland, Me Without You). Inspired by Misha Glenny’s 2008 bestselling book McMafia, a hard hitting look at global crime and its far reaching influence, Hossein Amini and James Watkins have created a drama event that centres around one Russian family living in exile in London. McMafia reveals a web of connections that join up money launderers in Dubai to cyber criminals in India, black marketeers in Zagreb to narcos in Colombia, Russian oligarchs in London to Bedouin smugglers in the Negev desert. In this world, race, religion, colour and creed present no barriers when it comes to clinching a major deal. McMafia is a fast-paced thriller that is abstract and personal, glamorous and gritty, global in scale and forensic in detail. It delves into how the criminal world really works and how, driven by the global demand for cheap products, everyone is complicit, in some way. 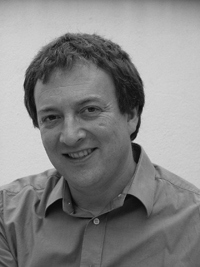 Everyone at Anansi is thrilled for the good news — to celebrate we’re giving away a copy of Misha Glenny‘s McMafia for FREE with every purchase of Misha’s new book Nemesis. It’s for 24 hours only, so shop now while the sale is still up!